Playlists can be added with the shortcode builder. Select your first media file. 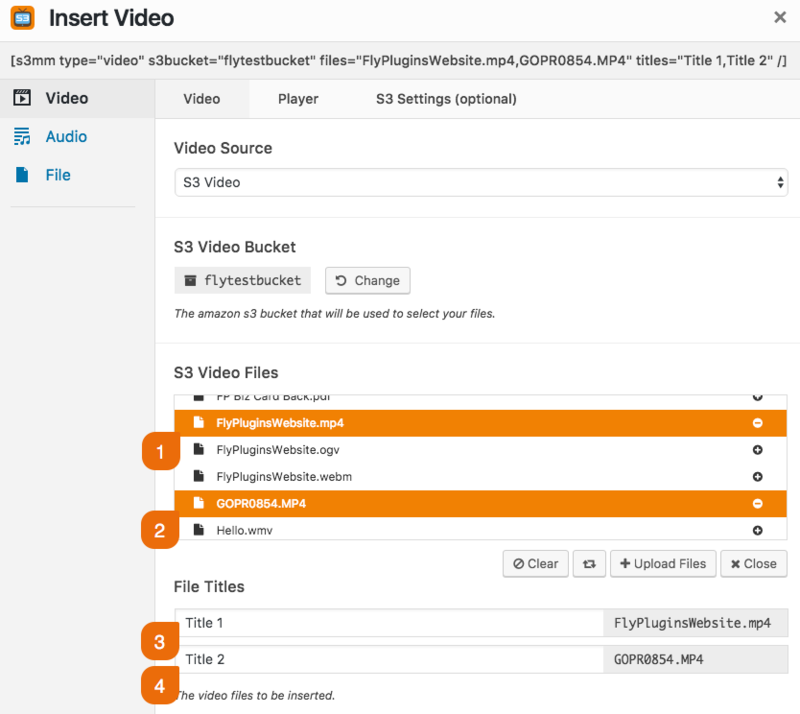 Select a second media file (required in order for the playlist functionality to execute). Insert title for the first media file. Insert title for the second media file. Click the Insert Shortcode button. 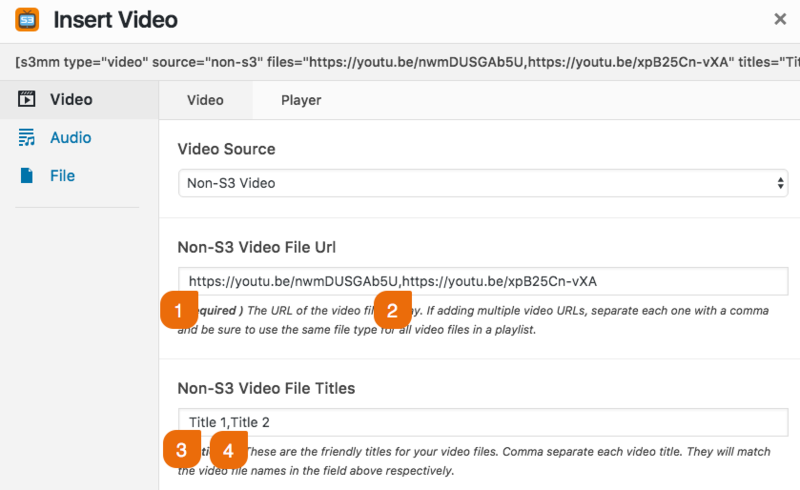 To create a playlist of media files that are not hosted on AWS S3 (the steps outlined below are the same for both video and audio). Insert the entire URL for the first media file followed by a comma. 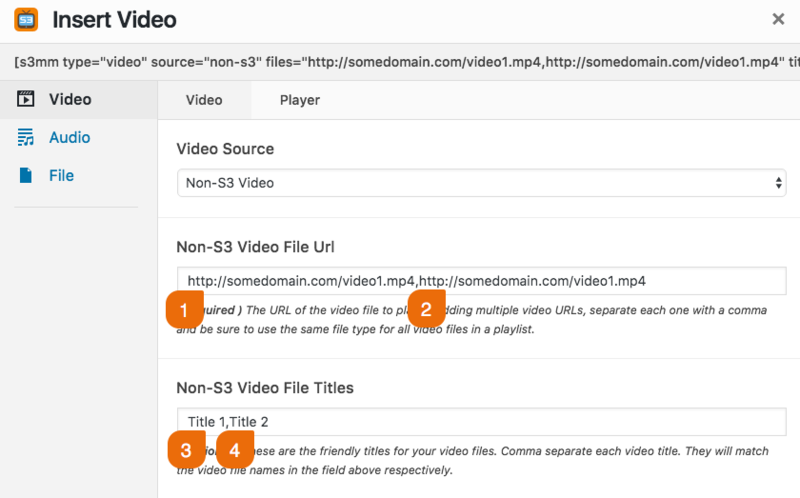 Insert the entire URL for the second media file (required in order for the playlist functionality to execute). Type in the title for the first media followed by a comma. Type in the title for the second media file. To create a playlist for YouTube, the steps are exactly the same as the steps for non-S3 video.